Bring Psychology To Life! Psychology enthusiasts from around the world meet up for lively skype conversations about important psych books. Our emphasis is on how these ideas are relevant in our own lives. Everyone values honest communication, yet few people possess the requisite skills. Susan Campbell provides simple yet practical awareness practices — culled from her 35-year career as a relationship coach and corporate consultant — that require individuals to “let go” of the need to be right, safe, and certain. 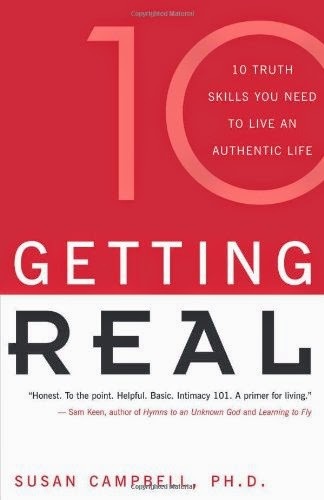 Such questions as “In what areas of my life do I feel the need to lie, sugarcoat, or pretend?” help guide the reader toward self-realization. 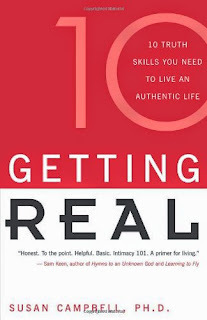 The ten truth skills include Letting Yourself Be Seen, Taking Back Projections, Saying No, Welcoming Feedback, Expressing Taboo Thoughts and Emotions, Revising an Earlier Statement, Holding Differences, Sharing Mixed Emotions, and Embracing the Silence of Not Knowing. View and purchase the books we've discussed using our Amazon.com Affiliates Store.